So you want to get into flying but you are not sure which drone to start with? We have had hands-on action with all the drones below and it’s time to share the information we have collected. If you have never flew a drone before we would recommend you start with something a bit cheaper until you get the feel of things. You don’t want to go all out and spend thousands only to find out that flying is not for you. Not to mention as a beginner flyer you are more prone to have a crash. 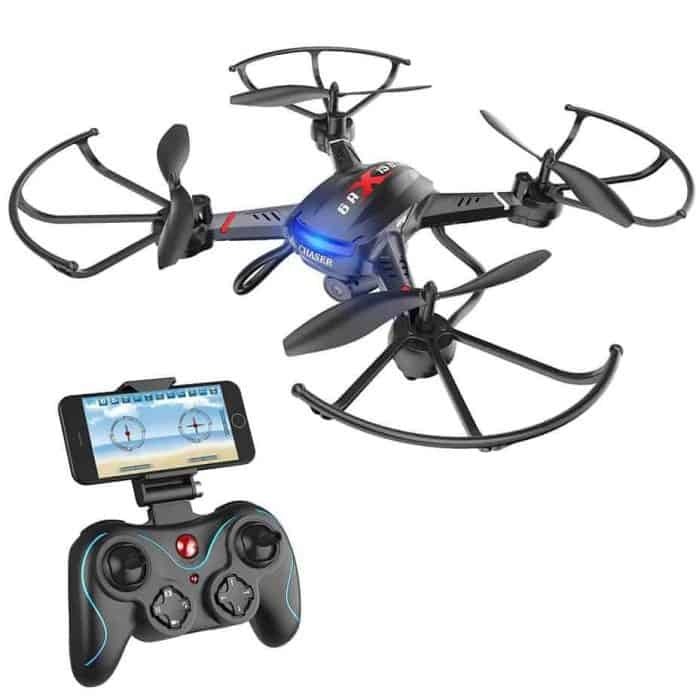 Picking a drone for the first time can be a bit of a tricky process, this article should clear up the basics and have you well on your way to buying a beginner drone. When buying your first drone there are a few main factors to take into account, below we will show you what to look out for when making your first purchase. Drones are meant for exploring places, find a drone which has a good range even for beginner flyers. A return to home feature can be very handy for first-time flyers, you might end up paying a little extra but we would say it’s definitely worth it. Operating a drone for the first time can sometimes be quite tricky, to avoid any silly mistakes we will list a few tips you should follow before you take the leash off. Read the manual: We know it’s tempting to get your drone right out of the box and take it for a fly but don’t. Just spend a few minutes to read through the manual to get the grips of things. Practice in an open field: Take your time to find a suitable location, find an open field with no obstacles in the way. TIP: longer grass can help stop the impact of a crash. We recommend you stay away from open car parks. Slow and low: Start off by flying slow and low, you want to get the hang of all the controls before flying any higher. Check the weather: Make sure to choose the right day when flying, watch out for strong winds, especially if you are flying lighter beginner drones. With hands-on action of all the following drones, the Holy Stone F181W has to take first place! It might be a bit more expensive but if you have that little bit extra budget this is a must buy for any beginner. 7 Drone accessories you must have!